When Noida got its first Metro route in November 2009, it not only made commuting to the city easier but also changed the city's real estate market. People who had to travel between Delhi and Noida for work increasingly started looking at Noida as a place to build their home in. 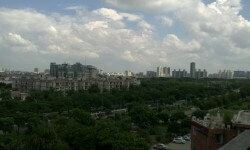 People living in East Delhi because of its proximity to Noida began moving to Noida in hordes. As the Metro penetrated deeper into the city, property prices also got a boost in the parts where there was Metro connectivity. Riding on this boom, prime properties were built across the length and breadth of Noida, Greater Noida, and even beyond, along the Yamuna Expressway. But there were long stretches, especially on the outskirts, where there was no Metro and people found it difficult to commute. But now there is some good news for the city. Noida is soon going to get new Metro rail lines. The 28-kilometre Noida-Greater Noida stretch, currently under construction, is being developed at an estimated cost of Rs 5,064 crore. This link, which will connect 21 stations, covering almost every sector of Noida and Greater Noida, is set to bring the twin cities back on the country's real estate map as the hottest market, especially for residential property. The link is said to become functional by March 2017. 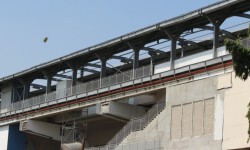 And if it does, it will have been constructed in a record two-and-a-half years from the date of commissioning. Also the upcoming Metro line between Janakpuri West and Botanical Garden will immensely improve the connectivity between Noida and Delhi. By April 2016, 90 per cent of civil work of the Janakpuri West-Botanical Garden line had been completed and the target was to complete the work by December. An improved connectivity in Noida and Greater Noida will prove a boon for the local real estate market, which had for a while suffered for lack of efficient public transportation. Many home buyers with properties in Greater Noida or along Yamuna Expressway had faced issues in connectivity to their workplace. Some were not even able to move to their own homes and had to live in rented accommodations close to their workplace. We spoke to Ankita Rai, a journalist, who purchased a flat in Greater Noida and last year, received possession of the same. But she is yet to move to her new home. PropGuide: Ankita, how do you see this Metro line improving your life? Would you now consider shifting to your own house? Rai: I bought an apartment in Sector-137, Noida, three years ago and got the possession last year. However, because of lack of public transportation I have not been able to shift to my own apartment. In fact, I am waiting for the Metro to come to Noida soon so that I can shift to my own house. I am still living in a rented accommodation. To know more about the Noida-Greater Noida Metro link's impact on developers with projects in the twin cities, we spoke to Bharat Bhushan Bhatia, Vice-President (Sales and Marketing), SuperTech Limited. PropGuide: Hi Bharat, how do you see the new Metro line boosting your business and reviving the real estate market in Noida and Greater Noida? Bhatia: Noida is a market catering to the masses and transportation here is critical and important. In Noida, transportation system is in place. But it is a concern in areas including Noida Extension, Greater Noida and Indirapuram. I have heard the speed of construction of Metro in Noida is fast and it is going to be a world record. I am sure things will improve as far as real estate is concerned. People want to live where they have good transportation system not only for themselves but for their families, too,. I am sure this development will further boost the real estate market. Now, to understand if we are right in assuming that the new Metro line will revive the fortunes of Noida, let's speak to Ankur Dhawan, Chief Business Officer (Resale), PropTiger.com. PropGuide: Ankur, how do you see the new Metro line affecting the real estate market in the city? Will it be safe to say that Noida is set to become a real estate goldmine? Dhawan: The upcoming Metro lines are going to bring a sea change in the way people commute in Noida. 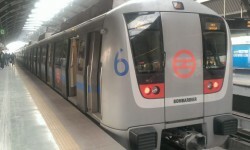 At present, the Metro goes only till Noida City Centre and is largely used by people who travel to Delhi for work. It is not very useful for people who have to travel within Noida. However, with the extension of the Noida line, Metro will become useful for people who have to travel within the city, too. The main business districts, including Sector-62, Greater Noida Expressway or various special economic zones (SEZs), which were not connected to main sectors of Noida via Metro, will be connected. After this extension people will look for real estate in far off locations like Greater Noida Expressway Sector 78 as well. People who were not moving to their already-purchased homes in the far off locations, due to difficulty in commuting to main business centres, will find this extension as an attractive proposal and will realise the value of the home that they have purchased. Hence, we expect a price appreciation in real estate here. Now, even people from Delhi will think of moving to Noida due to better liveability.